With high quality and authentic AL FAKHER and STARBUZZ tobacco with heated outdoor seating, ideal for the perfect night out with friends or family. Enjoy the culinary delights of the Brasserie and finish your meal with a relaxing smoke of high quality flavoured tobacco in a relaxed, ambient environment.  We offer the following range of Shisha flavours. Shisha is good quality, nice choice of AMY/ Al Fakher tobacco, coconut coals and reasonably clean pipes. Friendly staff. Decent food available ( even late!) and beer available at very reasonable prices. Definitely a summer Shisha recommendation.